All the parts for my mega P7 bike light have arrived. The driver from Kai Domain came relatively quickly, but the P7 LED emitter from Deal Extreme took forever to arrive. Of course the driver came without any sort of labels or instructions so I’m going to have to search the candlepower forums to figure out how to hook it up. Now that I have all the parts I am going to draw them in solidworks and start designing the housing around them. 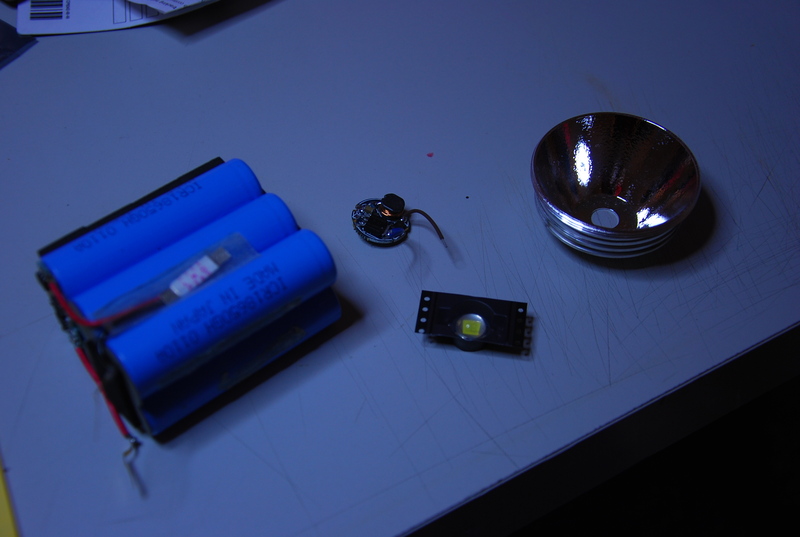 The reflector ended up being much larger than I had thought so I may not use it.